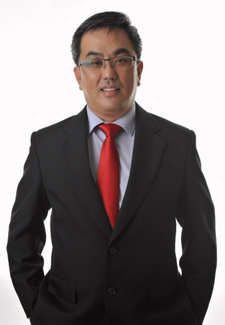 Patrick Chang is a Certified Financial Planner, Chartered Financial Consultant and an Associate Estate Planning Practitioner with 10 years of experience in the financial sector. As an independent financial advisor, his professional advisory services range from risk and wealth management, investment and estate planning, to an aspect of financial planning that is very close to his heart—retirement planning. He has helped his clients analyse, draft, implement and monitor their retirement plans in the five key areas of retirement planning. Patrick graduated with a Bachelor of Commerce (double majors) degree from Curtin University and received his MBA from the University of Adelaide. He believes in lifelong learning and understands the value of upgrading and acquiring new knowledge and skill sets to better meet the challenges of the new economic reality. As an active member of his alma mater’s alumni management committee, Patrick has helped to organise several seminars for professional development in recent years. He regularly gives public presentations on financial planning matters to companies, businesses and social groups. Topics he covers include investment strategies, the challenges of retirement planning and estate planning 101. Patrick also conducts educational and informational talks on subjects, such as CPF Life and MediShield Life.